IMPLANTS – CROWNS – INVISALIGN -VENEERS. 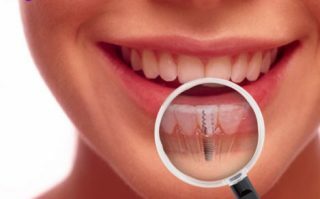 Dental implants are substitutes for the roots of missing teeth and are designed to last a lifetime. Infact, Al Lulu Medical Center has a lot to offer in dental. Invisalign aligners are virtually invisible. And User can easily wear and take off these aligner trays depending on the situation. In addition, Invisalign offers the ultimate flexibility, convenience and desired results. Also, treatments are tailored to suit individual needs, and we are fully committed to helping all of our patients achieve the best smile possible. The application of dental veneers is a cosmetic dentistry procedure to help improve the colour, shape and position of teeth. Besides, that it is good selection for those who are seeking to increase the aesthetics of their faces and smiles. It brings immediate and most effective results.